When will be The Adventures of Super Mario Bros. 3 next episode air date? Is The Adventures of Super Mario Bros. 3 renewed or cancelled? 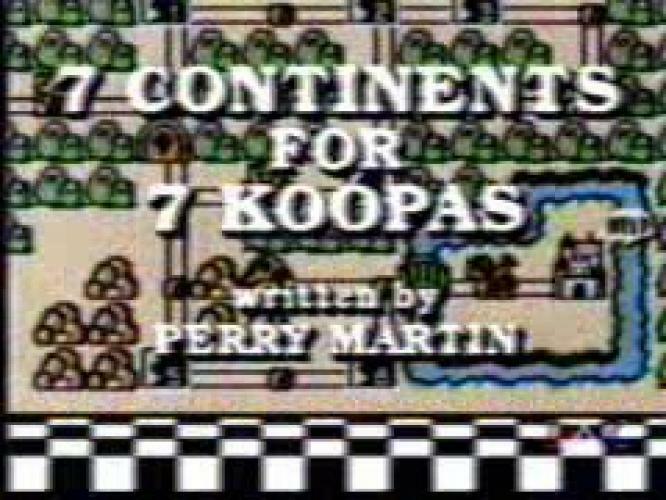 Where to countdown The Adventures of Super Mario Bros. 3 air dates? Is The Adventures of Super Mario Bros. 3 worth watching? Everyone thought King Koopa had left the Mushroom Kingdom. Then his Doom Ship attacked! King Koopa is back with the greatest danger ever known: his Koopa kids. Using their new powers, the Super Mario Brothers must rescue Princess Toadstool and beat back the evil Koopa family. The Adventures of Super Mario Bros. 3 next episode air date provides TVMaze for you. EpisoDate.com is your TV show guide to Countdown The Adventures of Super Mario Bros. 3 Episode Air Dates and to stay in touch with The Adventures of Super Mario Bros. 3 next episode Air Date and your others favorite TV Shows. Add the shows you like to a "Watchlist" and let the site take it from there.